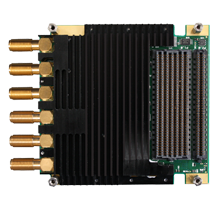 This ultra low latency 3.0 GSps 12-Bit ADC & DAC WFMC+ is specifically designed for DRFM applications with 39ns latency from SMA to SMA. The 3.0 GSps 12-Bit ADC & DAC WFMC+ was designed from the ground up for latency sensitive DRFM applications. The Board Support Interface, which is available in VHDL or CoreFire Next Application Design Suite, was also designed from the beginning to be suited for DRFM applications. This interface provides a Digital Bypass Mode to achieve the lowest possible latency and a Fabric Space Mode to allow the user to do additional processing and manipulation of the ADC data before returning it out the DAC. The Fabric Space Mode adds only 12ns of latency. The Board Support Interface also includes a built-in Bypass Delay which can be controlled to be from 0 to 124 ADC sample clock periods. This allows the user to “walk” the latency out from the minimum Digital Bypass Mode latency to slightly beyond the Fabric Space Latency, providing for a smooth latency transition between the two modes. The CoreFire Next Design Suite, Annapolis’ FPGA Design Tool, allows the user to design a 39ns latency DRFM-optimized application in minutes. 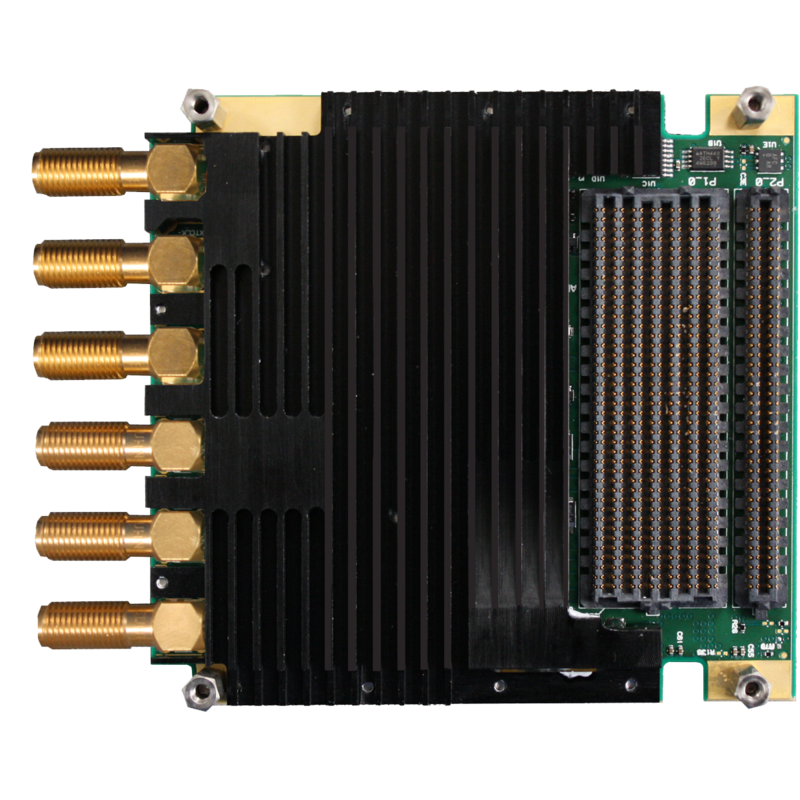 The 3.0 GSps 12-Bit ADC & DAC WFMC+ is shipped with a custom heatsink which enables proper cooling of the ADC. An on-board temperature monitor is also supplied which allows for real-time monitoring of the ADC’s internal die temperature. The 3.0 GSps 12-Bit ADC & DAC WFMC+ provides high fidelity and high speed analog-to-digital and digital-to-analog conversion along with a rugged design.